The Encyclopedia of Sports Medicine is edited by Elizabeth H. Oakes. Today Americans participate in sports more than ever before, and with increased activity follows an increased chance of injury. Now more than ever, sports medicine is relevant not only to college and professional athletes, but also to parents, amateur athletes, and seniors maintaining a fitness regime. Common to all these people is the desire to improve athletic performance and prevent injuries, or properly treat them when they occur. 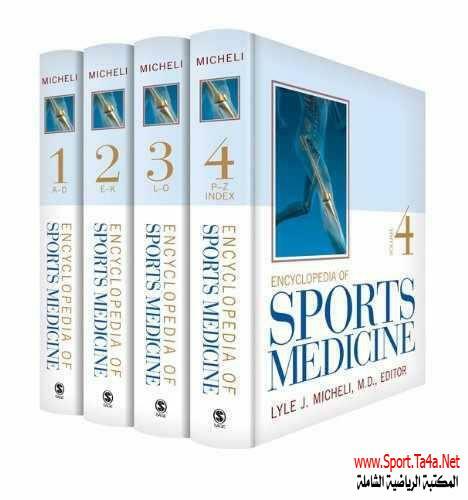 This First Edition textbook of The Encyclopedia of Sports Medicine covers all of this Cases and their management. – “The A to Z of Sports Medicine” delivers more than 150 in-depth entries. – Using everyday language, basic descriptions of sports medicine terms introduce the reader to many important topics and provide an at-home reference to supplement the information received from sports medicine professionals. – Entries on individual sports detail their most common injuries and how to prevent them. – Appendixes provide listings of useful resources and organizations. – Other features include safety tips by sport, nutrition information by sport, common injuries by body part or area, and five commonly misdiagnosed sports injuries.